Welcome to The Dinner Singer. Tod Woodward is a wedding singer and DJ based in Perth Western Australia. With many years experience in live music, Tod offers a unique combination of a live acoustic performance followed by a DJ service for later in the evening, making your decision for wedding entertainment an easy, affordable all in one experience. 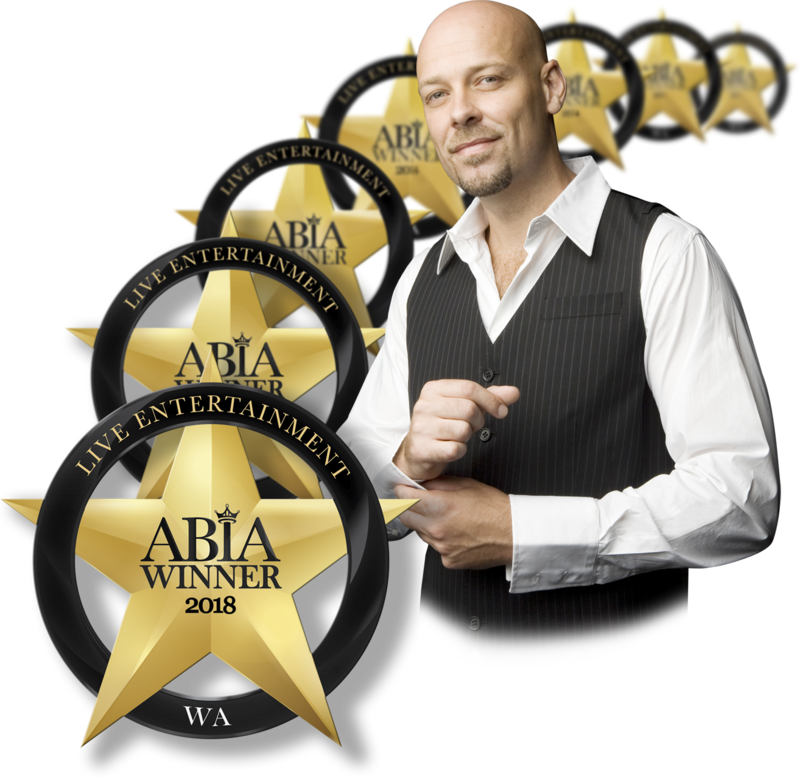 Music can make or break the feel of a wedding, and with countless testimonials from past clients and the top award for best live act from the Australian Bridal Industry Academy (ABIA) for the past 6 years in a row, The Dinner Singer is a very safe choice for a wedding singer and wedding DJ in Perth. Tod Woodward is a highly experienced musician and performer. Having played for 15 years in the Perth music scene in various bands, Tod excels as a solo acoustic performer with strong lead vocals and intricate, percussive and melodic guitar skills. Tod also DJ’s and has had over 10 years experience reading wedding audiences. Which is the main skillset needed for a successful night on the dance floor. Playing popular songs from almost all genres from artists such as Jack Johnson, John Mayer, Bruno Mars, Eric Clapton, James Taylor, John Butler, Ed Sheeran, Van Morrison, Tracey Chapman, Crowded House, Bob Marley, Robin Thicke, Eminem, Michael Buble – the list goes on. Tod’s repertoire combines Pop, Rock, R&B, Jazz, Soul, Funk, Blues, Country, Rap, Singer Songwriter, Folk, Contemporary Pop and Reggae. The idea of his vast repertoire is to attempt to find the core of the audience and please the listener. Pages of testimonials from past clients, plus multiple first place awards in the Wedding Industry are a guarantee that your money is well spent for the most significant day of your life. Impeccable guitar skills. An unsurpassed vocal smoothness that rivals the artists he covers. A classy, professional first rate act to add a touch of style you deserve for the single most important day of your life. A mix of live and DJ to tailor to your weddings needs. If you’re having a full reception and you want 3 hours live and 3 hours DJ – no problem. If you want 5 hours live and just 1 hour DJ – no problem. In fact you can choose whatever combination you like and it will not affect the price. Choose the wedding singer people will remember for all the right reasons.